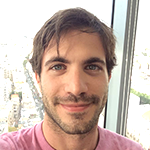 Editorial note: If you have ever tried to rent out your apartment on Airbnb, or simply wanted to build an awesome service, this interview is a must for you! Good service – as many of us know – is not simple to find these days. But what about EXCEPTIONAL service? 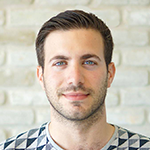 For Amiad and Koby Soto, the two 27 year old Israeli entrepreneurs who also happen to be twin brothers, the desire to build exceptional service is the one big motivation behind their exciting and fast growing startup – Guesty. In essence, Guesty is an online service that helps Airbnb hosts easily manage their Airbnb account from anywhere in the world, while making more revenue of the property they rent out. In other words – if you’re travelling to Italy worried about the apartment you just rented out in San Francisco to two strangers on Airbnb, worry no more – Guesty will help managing it for you. And while this idea may sound simple, for those who are in the Airbnb hospitality business, Guesty can almost be described as life-saving. 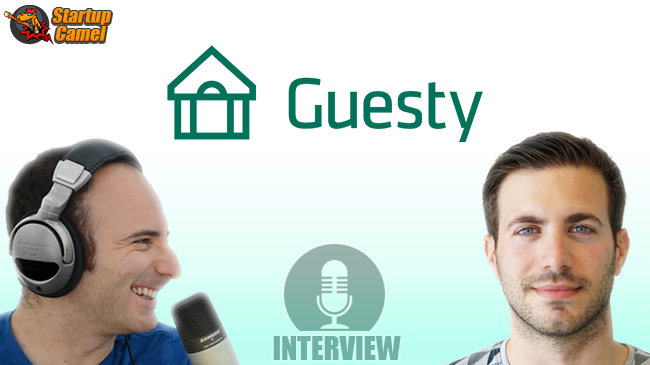 Like in many success stories, the idea behind Guesty was born out of Soto’s personal need: “we are Airbnb hosts ourselves, and we wanted somebody to help us manage our property professionally while we are travelling” tells Amiad, the company’s CEO. “One time, I flew to the US for a full month and couldn’t find anyone to rent my place for the whole time. I tried Airbnb, but found that turnarounds between guests, who all stayed for only a few days, were very difficult to handle from long distance. Eventually I had to sub-lease my apartment for a loss”. While the Soto brothers realized that there is business potential in improving the host-experience on Airbnb, what they did not anticipate is the magnitude of that potential: “we thought we could make a nice small business with this idea. But when we launched, we began get a lot of attention from people worldwide. I was contacted by Airbnb hosts in New York, the Netherlands and many other places, who all told us that they had waited for a company to come up with this service”. To demonstrate how much emphasis Guesty is placing on service, Soto describes a typical question he likes to ask in job interviews: what’s the best customer service that you received? “if they give me a food or clothes company that is known for bad reputation, you pretty much understand they never had an experience with awesome service. We look for the people who are highly service oriented. It’s not a matter of experience as much as a matter of standards”. Today, Guesty is running in 204 cities worldwide and includes various service features like managing booking, key turnarounds, guest communications, payments and even coordinating cleaning. Combining automated business intelligence, Guesty also offers pricing analytics tools that help hosts determine the optimal price for their property. “We bring back normalcy to the lives of Airbnb hosts, who can now travel calmly or focus on their daily chores without worrying about the property and guests”, summarizes Soto. And with this exceptional service for only a small percentage of the booking fee, Guesty has every reason to believe that a great future is lying ahead of it.